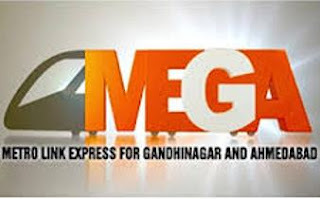 Metro-Link Express for Gandhinagar & Ahemedabad - MEGA published an official notification for Recruitment of Sr. Dy. General Manager & Dy. General Manager for 07 posts. Eligible candidates can apply for this recruitment. You can view more details about this recruitment including No. of posts, name of post, Educational qualification, Age limit, Selection process, How to apply etc... You can also view official notification and other important facts about this recruitment e.g. Important links and Important dates. SDGM (Finance & Accounts): Candidate must be a CA / ICWAI / MBA (Finance) with a minimum 13 to 15 years of post qualification experience in Project Finance, Direct taxes Provisions, Indirect Taxes Provisions, Compliance with Accounting standard requirements, Finalization of Budget preparation & Control, Working capital management etc. in an organization implementing infrastructure projects. Working knowledge in SAP-Fico will be given preference. Candidates must have 2 years working experience in State or Central PSU / Board / Organization of Government / Metro Rail Organization having implemented Metro Rail Project. SDGM (Civil): Candidate must be a B.E / B. Tech (Civil) engineering graduate having minimum 13 to 15 years of Post Qualification experience in large infra project execution environment, out of which 5 years in construction of Viaducts, Bridges, Multi-Stored Buildings, Workshop Sheds etc. Candidates having working in Metro Rail Viaduct construction with experience of supervising Segment Casting Yard work, erection of Launching Girder for segment launching, pile foundation works etc, will be preferred. Responsible for supervision and monitoring of Construction works as per DPR. Candidate must be familiar with management of contracts relating to the large infrastructure projects. Quality Control & Assurance System in civil construction, Safety Implementation, Programme Monitoring, IS / International Codes for construction of civil underground structures is desirable. All Candidates must have 2 years working experience in State or Central PSU / Board / Organization of Government / Metro Rail Organization having implemented Metro Rail Project. SDGM (Design & Planning): Candidate must be a B.E / B. Tech (Civil) engineering graduate having minimum 13 to 15 years of experience in all matters relating to Construction Planning, Construction Progress, Checking / Reviewing Metro Rail alignment, Station locations, land requirement for construction, review of tender technical specifications etc. Preference will be given to candidates having M.Tech in Structural engineering and experience in Bridge / Viaduct / Tunnel designs. All Candidates must have 2 years working experience in State or Central PSU / Board / Organization of Government / Metro Rail Organization having implemented Metro Rail Project. DGM -IT (Information Technology): Candidate must be a B.E / B. Tech in Computer Engineering (CE) / Computer Science (CS) / Information Technology (IT) ) having minimum 10-12 years of post-qualification experience in IT & Network Administration related to Software, Hardware, Security Services implementation, Virtualization in VMware, Website Management in CMS, SAP – ERP, Troubleshooting incidents etc. Candidate should have knowledge in Microsoft Technologies including Server Operating Systems, VLANs, MS Exchange server administration, Firewall, LAN / WAN connectivity, EDMS (Electronic Document Management System) etc. Certification like MCP, MCSE, MCSA, MCITP, ITILv3 will be added advantage. Preference may be given to the professionals having experience of working with Govt. Departments / PSUs / Boards. All Candidates must have 2 years working experience in State or Central PSU / Board / Organization of Government / Metro Rail Organization having implemented Metro Rail Project. DGM-IT (Architecture): Candidate must be a B.Arch engineering graduate having post qualification experience of minimum 10-12 in planning of elevated/ underground Metro stations layouts, Metro Station Designs and checking conformity of station layout to NFPA standards. Candidates having experience of designing large number of elevated Metro stations which are in operation and Management of contracts relating to the large infrastructure projects will be preferred. He / She should have exposure to use design software like CADD, Photoshop, 3D Max, Revit etc. Also he / she shall be conversant with the procedures for obtaining statutory clearance from local authorities. Interested and eligible candidates can send their application in prescribed format (can be downloaded by below mentioned link) via email only along with the scanned copies of latest CV, payslips & testimonials.